POLSON – At home on Thursday two grand slams were impressive — but weren’t enough to save the Lady Pirates from defeat as they fell to Hamilton in an offense-heavy seven innings, 21-16. 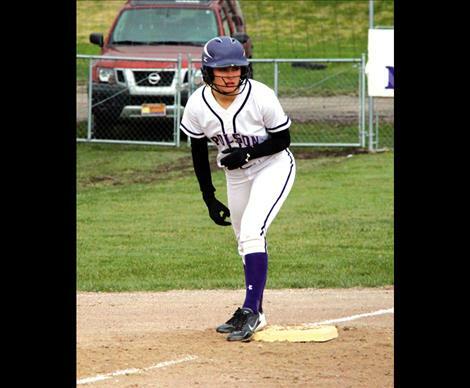 After a troubling first inning of a four-run deficit, the Lady Pirates slowly gained on the Lady Broncs, but a Hamilton rally in the fourth inning left the Lady Pirates in the dust and with the first loss of the regular season. Lady Pirates Sarah Rausch and Hannah Fryberger logged the two four-bangers adding to Fryberger’s 3-5 effort and five RBIs to lead the Lady Pirates at the plate. The Lady Pirates will head to Belgrade Friday and Saturday to compete in some tourney action. Jaiden Toth 3-6, Kaelen Wall 2-5, Kaelyn Smith 1-3, Taylor Brackey 3-6, Sarah Rausch 1-6, Ashley Benson 2-5, Skyla Krantz 1-3, Lydia Dupuis 1-2, Hannah Fryberger 3-5, Camas Renault 1-1. 2B – Brackey, Benson. HR – Rausch, Fryberger. RBIs – Fryberger (5), Rausch (4), Brackey (2), Toth, Wall, Renault.